Great keepsake to keep in the corner of the crib. 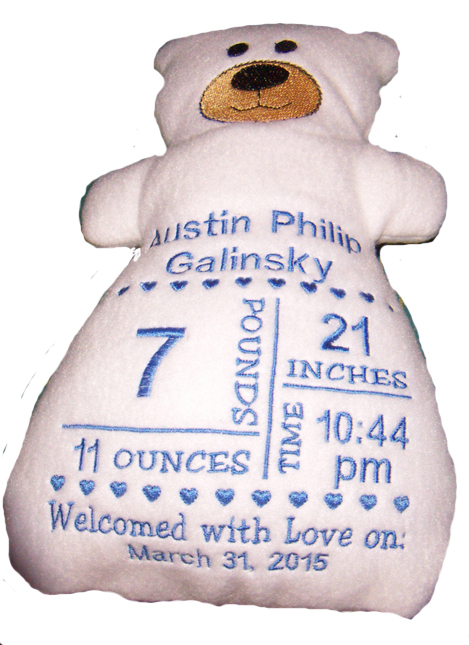 Made of white fleece, bear measures about 10" in height and 6" in width. 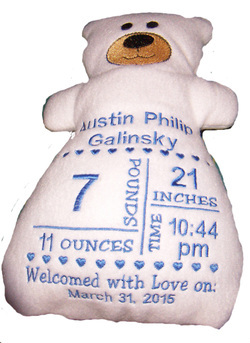 Includes name, date of birth, height, weight, time of birth. While we typically do the boys in blue and the girls in pink, any color of thread can be used. Call 904-268-8505 or email to place an order and to provide the relevant info.